D☆DATE debuted in December, 2010. All members can sing, dance and also act. D☆DATE is a special group consists of five top stars from D-BOYS, the Japanese popular actors group.Koji Seto, Hirofumi Araki, and Tomo Yanagishita debuted in the musical “The Prince of Tennis,” which is very popular in Asia.When Koji Seto acted the main cast in the famous Japanese TV drama, “Kamen Rider Kiva” and Hirofumi Araki acted the leader of the enemies group in “Jyuken Sentai Gekiranger,” they got much attention by their attractive appearance. Koji recently appeared in a drama series on NHK and the movie, “Sadako 3D,” which was viewed got a round of applause in Japan, Hong-Kong, Taiwan, Korea, Singapore, Russia, and Philippine.Tomo Yanagishita is very good at sports, and therefore he acted the main cast in the show with full of gymnastics, “Tumbling”Hayato Igarashi acted as the main cast, a superhero popular within Japanese children, in the TV drama, “Ultraman Mebius” and after that, he has been cast consecutively in many popular TV dramas and movies, including a big-hit Japanese movie, “Rookies”.The youngest member of all, Arata Horii, was selected from the audition of 30,000 applicants. 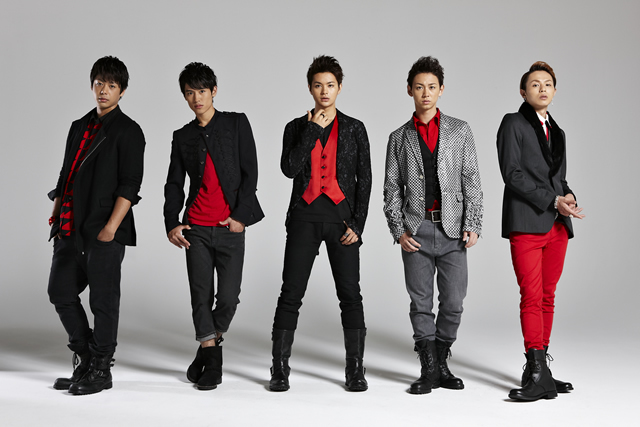 He now appears in various TV shows.As you see, each members has unique characteristics and specialties, and therefore the fans of D☆DATE are various, from teens to madams.The songs they sing are genre-less, including slow ballads, cool dance music, and energetic pop songs to cheer up the listeners. Hirofumi Araki, the leader of the group, writes the lyrics.D☆DATE is a group , which consists of five members who can attract fans by their each different personalities.